Baby Won't Sleep On Back: What Should You Do About It? 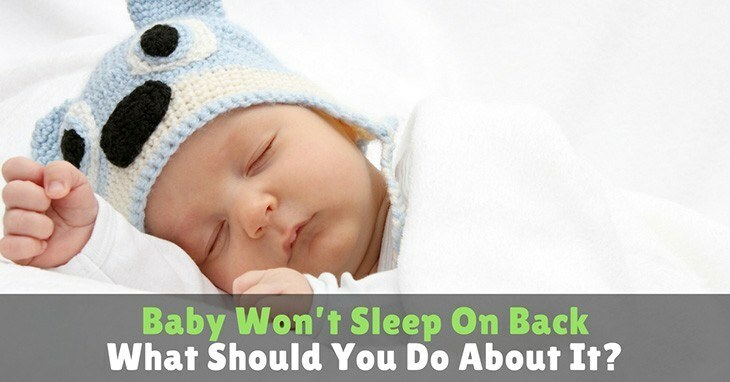 →Baby Won’t Sleep On Back: What Should You Do About It? Baby Won’t Sleep On Back: What Should You Do About It? How does your baby sleep? 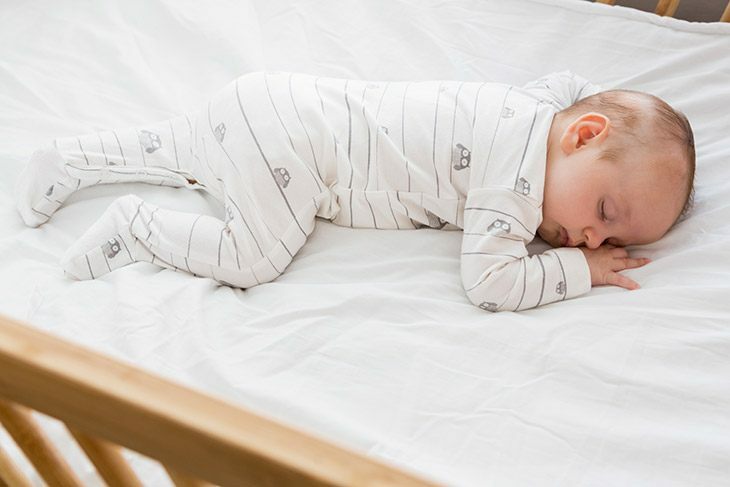 There are several conflicting views on what is the best position on how a baby infant should sleep. This issue is important in relation to crib death in infants. It's a serious issue which is known as Sudden Infant Death Syndrome (SIDS). There are cases when baby won't sleep on back. When a baby is sleeping on his/her stomach, breathing difficulties may occur. This is because the babies face may be pushing against the mattress. As a consequence, there would be less or no oxygen inhaled and this could prove fatal. But there are exceptions to the stomach position. These are usually are medically related. Recent studies have proven that the safest position for an infant is on its back. The reason for this is that there is no hindrance to proper breathing. Your baby Won't Sleep On Back: How To handle This? Why Won't Your Baby Sleep On His/Her Back? As studies have proven, there have been fewer occurrences of SIDS when the infants sleep on their back. What then should you do to prevent this from happening? Especially when your baby prefers to sleep on the side or stomach? The fear of SIDS because of the baby's preferred position can cause parents to lose or are deprived of sleep. This may eventually lead to unwanted stresses on the whole household. A lot of times, parents are confronted with a situation where baby won't sleep on back. Instead, he/she seems to prefer all other positions. There could be reasons for this preference. Dr. Blanchard, a noted pediatrician has had an idea about this. She stated that a lot of babies don't like sleeping on their backs because they aren't as comfortable. It may also be because they get startled easier while in this position. That's why they prefer sleeping on their side. But this preference should not stop you from training your baby to sleep on its back. Although the baby would sleep on its stomach for comfort, something could go wrong. Even though it's the easier choice, the downside isn't worth the risk. Before birth, your baby has been used to adopting a fetal position. So, the concept of laying them on their backs on a firm surface is something that is unfamiliar to them. That's why your baby won't sleep on back. He/she isn't used to it. But now that you know that this is the safest position, it's best to encourage your little one to sleep on his/her back. Your baby had grown accustomed to being cuddled or spooned inside your womb. That's why he/she feels vulnerable when lain on the back. Your infant could be feeling a sense of abandonment. Any sudden movements or noise could cause him/her to respond unpredictably. These are certainly not the ideal conditions to get the child to sleep. 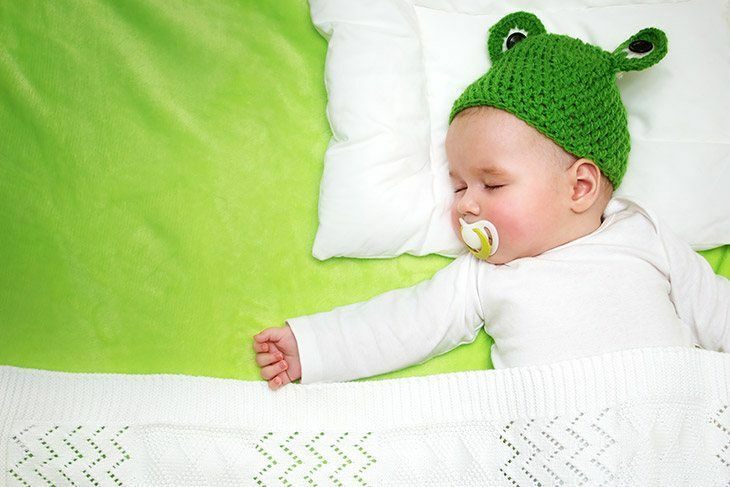 Make your baby's transition gently towards the right sleeping position. Give him/her plenty of snuggle time and let your baby lie on your chest. This will make him/her feel secure. During the early days, allow your little one to sleep in your arms. Gradually introduce him/her to the "sleeping on his back" position. Let him/her rest on your body, back against you. And after each breastfeeding session, let your baby sleep beside you. When the time is ripe, you can let your little one sleep alone and on his back. Enjoy cuddling your baby until he/she falls asleep. Early sleep is prone to waking up. Half an hour would be great cuddling time or until you are sure your baby is in deep and quiet sleep. Then lay your baby gently on the back. In deep sleep, there is less worry in waking him/her up. What can be more moving than seeing a baby resting on its mother's chest? It is an ideal picture of mother and child closeness. It also creates a secure atmosphere for sleep. In such position, your warmth and breathing will stimulate your baby's breathing. There are no risks involved in this picture but only benefits. In this position, let your baby be lulled into deep sleep. Then it would be easier to put them down on their back without waking them up. Supervise your baby when training for "sleeping on your back" position. Let him fall asleep on the preferred position. Once in deep sleep, just flip the infant gently over on his back. Eventually, the infant will get familiar with this routine. Later, even when drowsy, you can already move in and not wait for deep sleep. A year is the most recommended span of time that the baby should be sleeping on his back. But about six months to the year, the baby becomes so mobile, moving around in his bed either awake or asleep. At this time, you may be having a hard time keeping up with the repositioning task. It is not absolutely necessary to keep up with the child as it would also stress you up. No need to be so rigid, there are some things in life that you will have no control of. As you can see, sleeping on the back is the best position for your little one. Even if baby won't sleep on back, it's important for you to encourage him/her to do so. We've discussed helpful tips which can guide you in teaching your baby to sleep on his/her back. Babies are more comfortable sleeping in other positions, which aren't ideal. Sleeping on the back remains to be the safest position. This position significantly lowers the occurrence of SIDS, which is fatal. Now you know how to guide your little one. This means that transitioning to sleeping in the back position will be easier for you and your baby. Go ahead and try it out! How To Get An Overtired Baby To Sleep? 4 Month Old Waking Every Hour – Why? What To Do? How To Deal With 6 Month Old Sleep Regression? 9 Week Old Baby Sleep Success – Is It Possible?